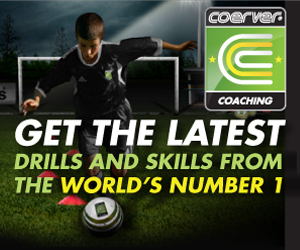 So, you're ready to take your soccer game to the next level but need some tips and new ideas. Well, that's when a soccer training dvd might come in handy, or should we say footy. But jokes aside, a soccer skills dvd is useful if you're a young player, or a player of any age really, who wants to improve their game and just be the best soccer player they can be. 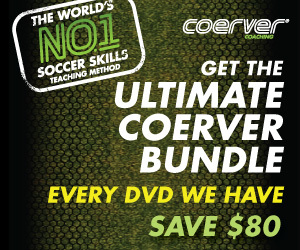 Why not pick up a soccer DVD to help you improve your game? It can't hurt to check one out and learn some new 1V1 soccer skills. A soccer training dvd will give you tips, tricks and drill ideas so you can improve your game, no matter your age or skill level. These soccer DVDs below will also be useful if you're a soccer coach or parent, since if you watch the skills DVD you can pass the information along to the players on your team and or your children who play the game. It's all about striving to get better and improving. Take your game to the next level and learn to play like a champion with Sir Alex Ferguson and the first team players of Manchester United! Along with the club's Academy players, you can learn skills like the Flick Behind, the Step Over and the Roller Coaster.